Welcome to the “Show Me State” located in the Midwest. Come see where Jessie James, Mark Twain and Laura Ingalls Wilder all once lived. Experience Branson. Explore the Ozarks. 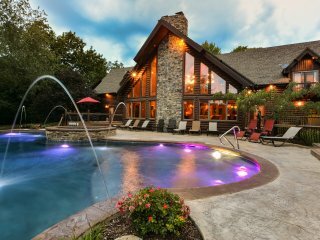 Scattered throughout the state are the perfect Missouri vacation rentals to suit whatever you have planned during your trip. The weather in Missouri varies throughout the year, and may change depending on the region of the state you’re visiting. While temperatures in the summer can be extremely warm and winter temperatures can dip very low, the weather changes frequently in Missouri. As a result pack layers and check the forecast before arriving. The state is located in Tornado Alley, so it’s worth planning your visit in advance to avoid bad weather. 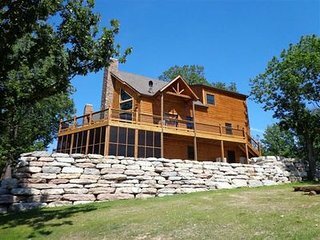 Missouri is divided into five different region, each with unique attractions and things to do for visitors. The Central region is home to Lake of the Ozarks, where there is an abundance of outdoor activities to enjoy. A variety of bass, crappie, and catfish inhabit the lake making it a great place for fishing. Other popular activities here include boating and exploring the nearby Fantasy World Caverns. This region is also where Missouri’s Capitol is located in Jefferson City. 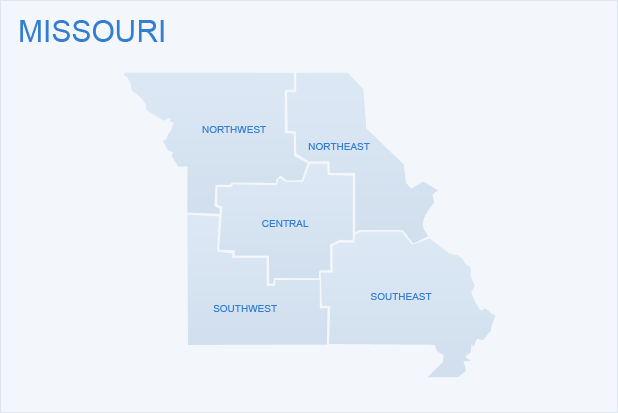 The Northeast region includes Hannibal and St. Louis. Stop in Hannibal to see the Mark Twain Boyhood Home & Museum. In St. Louis, the Gateway Arch is a must-see in this region, as well as the St. Louis Zoo and the Anheuser-Busch factory. Northwest Missouri has a mix of bustling city life and slow-paced Amish communities. Kansas City is a pretty city to stroll through as it has more fountains than Rome. It is also where the home field for the Royals baseball team is located. Nearby Jamesport boasts a simple way of life and a very large Amish population. The Southwest region includes many historic sites as well as Branson, and it is a great place for visitors looking for outdoor adventures. Enjoy a range of watersports from swimming to wakeboarding here, or explore underground at Fantastic Cave or Marvel Cave in neighboring cities. There are also a number of trails to hike or travel via horseback. 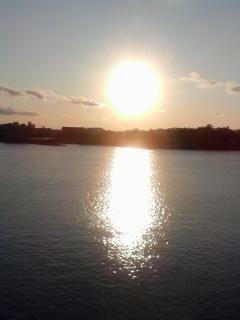 In Southeast Missouri, natural beauty is the main attraction. Drive past scenic countryside or float down a spring-fed stream in the “Bootheel” of Missouri. From sightseeing in the city to outdoor adventures, there are many activities to enjoy during a trip to Missouri. In St. Louis, it will be difficult to miss the Gateway Arch. Take the tram to the top of this iconic monument for spectacular views of the city. Stroll through the Missouri Botanical Garden, a National Historic Landmark, to see a variety of beautiful plant life. To see animals and wow your kids, visit the St. Louis Zoo. Branson offers countless outdoor activities. Bask in the sun and go swimming or boating at Table Rock Lake. Spend an afternoon at Silver Dollar City and enjoy this unique theme park with the whole family. To get your adrenaline pumping, go cave spelunking at Marvel Cave or stay above ground and zipline through the treetops. 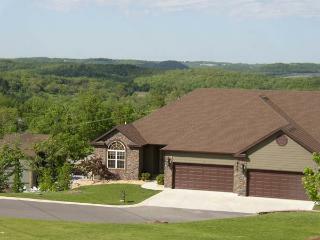 Another popular place to visit in Missouri is Lake of the Ozarks. Here, play a relaxing round of golf at Old Kinderhook Golf Course or take a peaceful hike through Ha Ha Tonka State Park. Lake of the Ozarks also has great shopping at Osage Beach Premium Outlets. Missouri has a number of delectable foods for visitors to enjoy while on vacation. 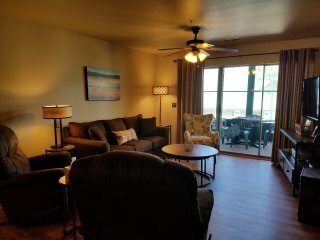 Those staying in Missouri vacation rentals will love the locally made pecan pie. Missouri produces over a million pounds of pecans each year, and vacationers can buy fresh pecans for roasting and salting. Local standouts also include apple bread and apple pancakes as well as Springfield style cashew chicken and Kansas City Barbeque chicken. 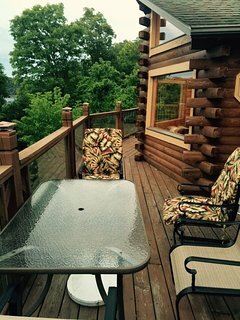 Whether you’re looking for a Branson cabin rental, a St. Louis condo, or a Lake of the Ozarks home, there are many Missouri vacation rentals to choose from for your stay. Spend time relaxing lakeside or exploring one of the lively cities in the state. Whichever you choose, you won’t be disappointed!